If you are trying to sell a New Orleans house during the winter months, you might want to incorporate a few festive touches into your open house. We have put together some creative holiday themed open house ideas to help you sell your New Orleans house fast! When done correctly, the holiday season can actually be a great time to sell your New Orleans house! The key to selling during this time is to reach the people who are looking to relocate during winter break or buy before year-end. Offering a warm and welcoming open house will make your property stand out to these prospective buyers! It’s important to engage the prospective buyer’s senses with any open house or showing. The holiday season is a great time to incorporate elements that will do just that! Your house should feel welcoming. Any interior can reflect the coziness of the season, regardless of the climate. Stage the house with warm blankets, fluffy pillows, and items that will make your prospective buyer want to curl up with cocoa and a good book. If you have a fireplace, it’s time to light it up. Electric fireplaces can be used without heat in warmer climates but still give a comfy vibe. Sometimes natural lighting isn’t enough. Your house should be lit, but not so lit that you feel like you’re at the doctor’s office. Keep lighting soft and warm. You can see the difference between different lighting options by testing them out. Few people dislike the smell of freshly baked cookies or bread. Other universally-liked choices include vanilla and pine. When incorporating the smell through oils or candles, keep it light. Some people are more sensitive to smell than others, and you don’t want your efforts to be off-putting. Conjure up warm holiday memories by offering delicious snacks. Serve up some pumpkin pie bites, gourmet cookies, or biscotti. Keep food light and don’t serve anything that will be too messy. As far as refreshments go, you can serve apple cider, cocoa, or some fancy coffee. Be careful with that Holiday Hits playlist, and keep things low-key. While some people adore Christmas music, others avoid it at all costs. Instrumental versions are nice, or you can play light classical music. It should never be played loudly and should be almost unnoticeable. Think minimally. Think of classic looks you might find in a catalog. Think traditional, wintery, and clean. 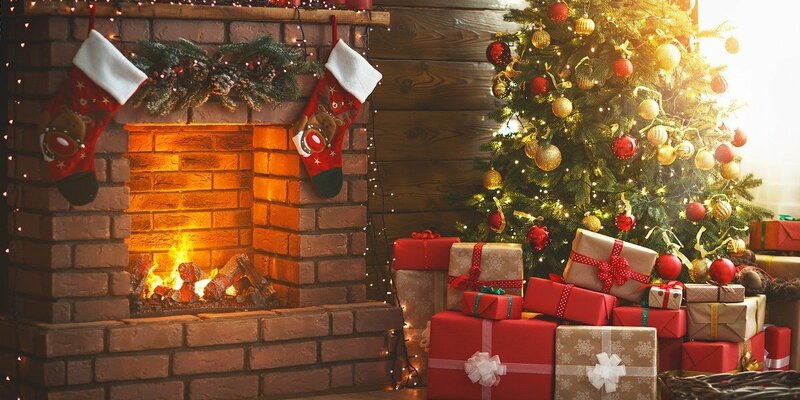 When people are viewing your house, take down personal items, such as stockings with names, decorations made by the kids, and the “Baby’s First Christmas” ornament. Religious items shouldn’t be too overpowering. The overall goal is to create a warm and welcoming environment for as many people as possible, making them feel as if they are in their own home. The items listed above can always be put back after the showing. A traditional tree can be large and cumbersome. Furniture is rearranged to accommodate the tree, making the space look cluttered and unwelcoming. Unless you have an open room with extra space for a tree, you may want to consider a small, tabletop version instead.